This listing is for one Silver and CZ wedding bouquet charm (Brooches NOT included) to be customized with any photo or image you like! 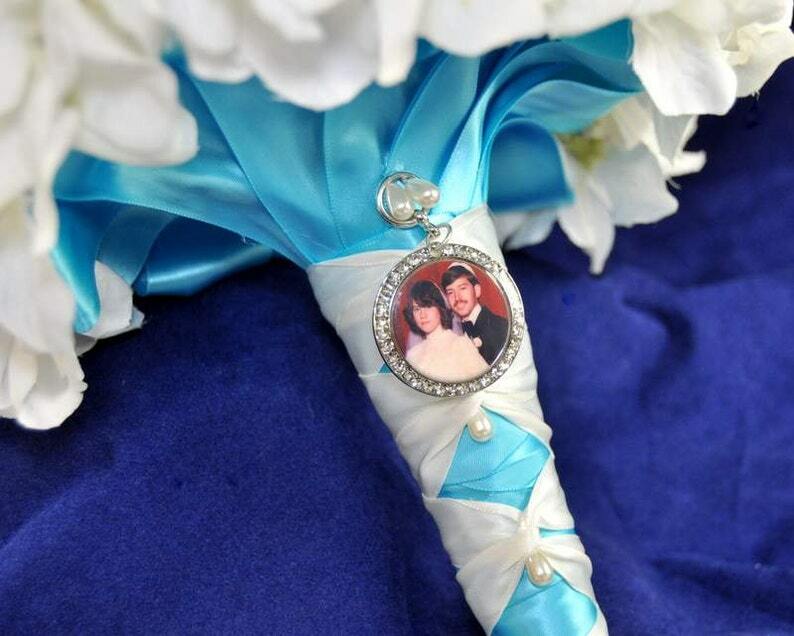 Choose a photo of a lost loved one to keep close on your special day or choose an initial, monogram or wedding date and create a special keepsake. The photo area is 25mm. This beautiful charm can also be added to a silver chain after the wedding for a gift that keeps giving. If you prefer text instead of a photo, please enter you choice of background color, font color, and text at 'note to seller' at checkout! great gift for the groom, father of the bride or father of the groom!